Nike Japan announces that they’ll be releasing an exclusive Nike Air VaporMax White Multicolor colorway this week. 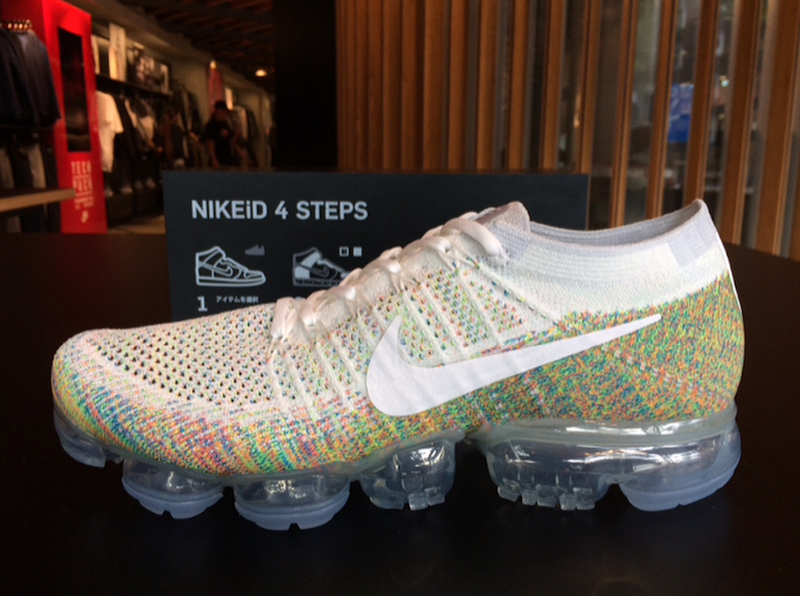 This Nike Air VaporMax features clean White Flyknit upper paired with Rainbow/Multicolor accents along with a matching White Nike Swoosh on the sides. Completing the shoe is its clear full-length VaporMax sole unit. Look for the Nike Air VaporMax “White Multicolor” to release exclusive at Tokyo Nike locations on September 7th. No word on a wider release at this time, stay tuned.